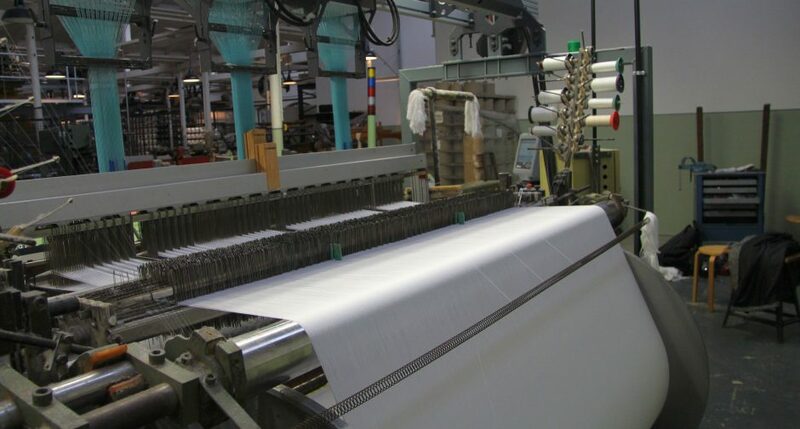 The Rapier Rod Weaving Machine Saurer 400 uses a rapier rod that inserts the weft thread from one side only. This allows for a much faster weaving speed. This particular weaving machine was built in 1982 by Bourgoin-Jallieu/France, Saurer Diederichs S.A. It was used to mass produce raw fabrics for technical purposes and outer garments between 1982 and 2008. Today it is a working exhibit at the LWL-Industriemuseum TextilWerk Bocholt. It is used to make miner’s cloths and towels for creative projects and the shop. 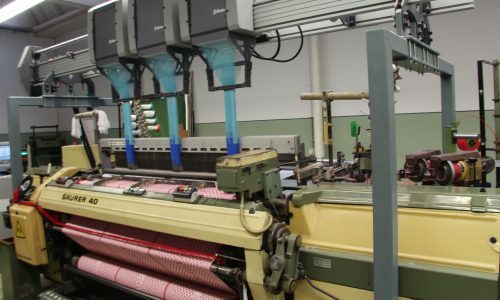 In 2013 the museum combined the weaving machine with three digital Jacquard machines by the Swiss company Stäubli. The Jacquard machines enable the museum to weave patterns and lettering with up to three colours into the cloth. 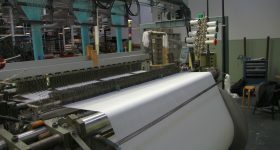 The digital and electric Jacquard machines are the successors of the mechanical ones. 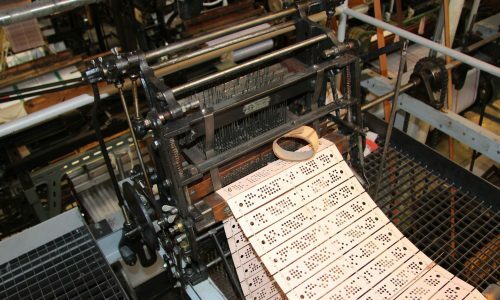 Just as their modern counterparts and basically every computer, the historical Jacquard machines used binary code to translate and implement the pattern within the weaving process. Unlike their mechanical predecessors, however, electric Jacquard machines are hardly audible. 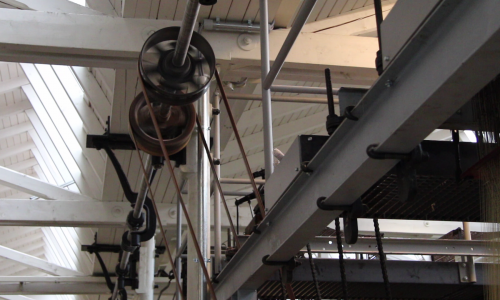 The sounds from the weaving machine dominates the recordings at all times. This recording was made from the backsite of the weaving machine close to the warp stop motion. The warp stop motion consists of small pieces of metal that separate the warp threads and prevent them from moving around too much. When they are shaken by the running weaving machine they emanate a tingling sound.